General Atomics Electromagnetic Systems (GA-EMS) is donating to The University of New Mexico under the GA-EMS Scholars Program to establish annual support for selected graduate students in the area of high-power electromagnetics. Graduate students chosen to participate in the annual program will be known as GA-EMS Scholars and will work with Distinguished Professor Edl Schamiloglu in UNM’s Department of Electrical and Computer Engineering. Schamiloglu is also the associate dean of research and innovation in the School of Engineering. GA-EMS Scholars will perform their dissertation research during the nine-month academic year in Schamiloglu's laboratory. They will then participate in a summer internship at GA-EMS’ facilities in San Diego. "This is a wonderful opportunity for graduate students to connect with an organization recognized for its leadership in the research and development of high-power electromagnetic technologies," Schamiloglu said. “The scholars program is certainly instrumental in strengthening the UNM ties with GA-EMS to foster innovation in this important and growing field." "We are pleased to support the Scholars Program, and welcome the opportunity to work with Professor Schamiloglu to provide a forum where UNM graduate students can closely collaborate with our team of experienced engineers and scientists," stated Scott Forney, president of GA-EMS. “Through programs like this, and through our Innovate ABQ Lobo Rainforest office in downtown Albuquerque, we continue to strengthen community relationships and outreach. 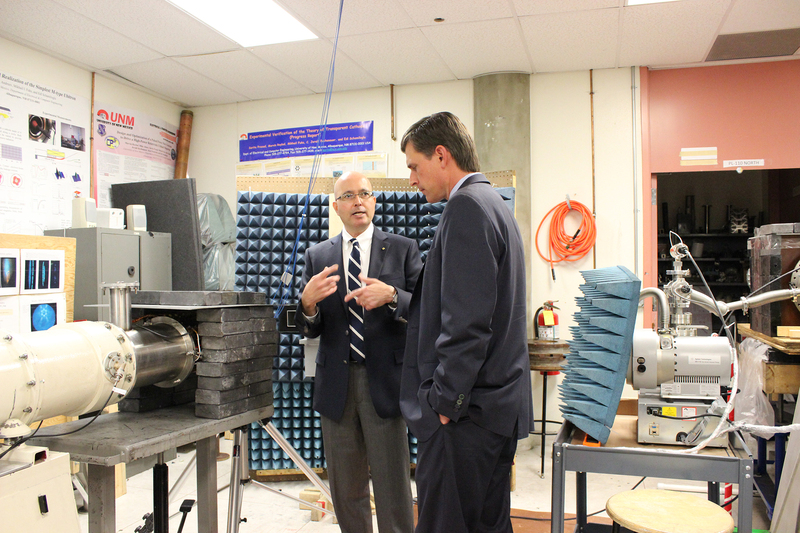 Working with our UNM and Albuquerque partners is critical to not only advancing high power electromagnetic technologies, but also allows us to leverage these research efforts to address other technology areas." General Atomics Electromagnetic Systems (GA-EMS) Group is a global leader in the research, design, and manufacture of first-of-a-kind electromagnetic and electric power generation systems. GA-EMS’ history of research, development, and technology innovation has led to an expanding portfolio of specialized products and integrated system solutions supporting aviation, space systems and satellites, missile defense, power and energy, and processing and monitoring applications for critical defense, industrial, and commercial customers worldwide.